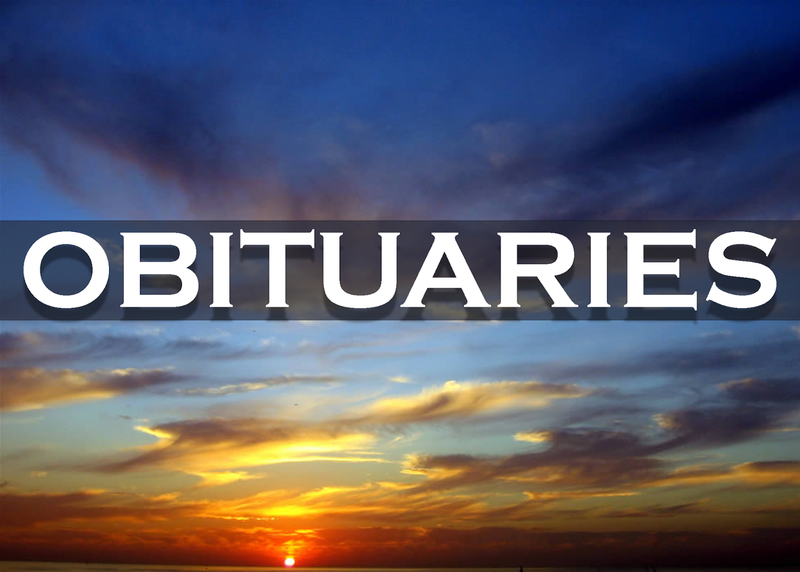 Armando J. Zarra, husband, father, grandfather, of Schuylkill Ave. Tamaqua passed away peacefully on November 6, 2018 at St. Luke's Miners Memorial Medical Center in Coaldale with his family by his side at the age of 86. Survived by his wife of fifty-nine years, Claudette M. (Marinier) Zarra; daughter, Lisa G. Jones wife of Robert of Bel Air, MD. ; son, J. Mark Zarra and his wife Marie of Bluffton, SC. ; grandchildren, Alexander A. Zarra, Nicholas A. Zarra, Katharine Smith wife of Christopher, and Jennifer Jones. Born September 7, 1932, in Pittston, Armando was the son of the late James A. and Alice (Fabrizio) Zarra. He was also predeceased by his brother Vincent Zarra and sister, Lillian Burke. A graduate of Wyoming Seminary in Kingston, Armando served honorably in the United States Army, stationed in Korea during the Korean War. Armando attended Kings College in Wilkes - Barre, and then entered the Pennsylvania State Police, serving from 1958 to 1968. He worked at Mar Stripping in Tamaqua from 1968 to 1975, managing the business following the death of his father in law. In 1975, Armando began to work for the Attorney General's Office with the Department of Justice in Harrisburg and then transferred to the Pennsylvania Consumer Protection Agency in Allentown, retiring in 1994. A member of St. John XXIII R.C.C. of Tamaqua, Armando was a member of the St. Vincent DePaul Society. 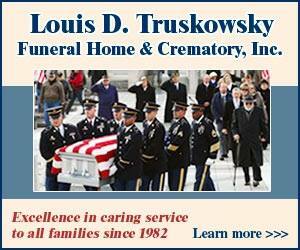 He was past president of the Tamaqua Lions and served as a Lion's District Governor for the state of Pennsylvania. Armando delivered Meal on Wheel in Tamaqua, and was a member of the former Mahoning Valley Country Club where he satisfied his passion for golf. A Mass of Christian Burial will be celebrated on Friday November 9, 2018 at 1 o'clock P.M. from St. John XXIII R.C.C. 307 Pine Street Tamaqua, Pennsylvania 18252. Military Honors to be bestowed at the conclusion of the Mass. Friends may call on the morning of services at the funeral home from 11:00 a.m. until 12:30 p.m.
Interment Ft. Indiantown Gap National Cemetery, Annville, Pennsylvania. Hubert John "Bub" Scheuren, 70, of Lavelle, PA lost his battle with cancer on Sunday, November 4, 2018 with Barbara, his wife of 47 years, and family by his side. Born in Ashland, PA on July 20, 1948 the son of the late Hubert Martin and Katherine Walacavage Scheuren. H.J. Bub was a graduate of Immaculate Heart High School. He served in the United States Army 1966-1968. He worked on/owned the family's business Scheuren's Dairy, and later Verizon for 28 years and after retirement Richard's Busing. He enjoyed history, shooting and his pets. He was a member of the NRA, SASS, and American Legion Post in Ashland. Surviving are his wife: Barbara Litchko Scheuren. Children: Dr. Shannon Scheuren of Ashland; and Sonja Wormhald of Bloomsburg. Sister: Kathy Bulka of Gordon. Nieces and nephews. A celebration of life service will be held Saturday, November 17, 2018 at 11:00 AM at Groody Catering E. Center Street Ashland, PA 17921. Interment at Indiantown Gap National Cemetery Annville, PA at the convenience of the family. A time for visitation 10:00-11:00 AM November 17 at the Groody Catering Hall. In lieu of flowers, please send memorial donations to Mostly Mutts, Inc. 284 Little Mountain Road, Sunbury, PA 17801 or Hospice of Central PA Memorial Gift Program Development Department 1320 Linglestown Road Harrisburg, PA 17110. Patrick F. Gillis, 68, of Tremont, formerly of Camp Hill, passed away Tuesday, November 6th at the Tremont Health and Rehab. Born in Harrisburg, November 6, 1950, a son of the late Alex and Rosemary Mitchell Gillis. Patrick was of the Catholic Faith. Surviving are his siblings, Rosemary Shartle, Ann White, Jospeh Gillis, John Gillis, Elizabeth Smith; sister-in-law, Vera Gillis. Nieces and nephews.